The 2019 Polar Vortex Outbreak brought the coldest temperatures in almost a generation to many parts of the United States, and caused several deaths. 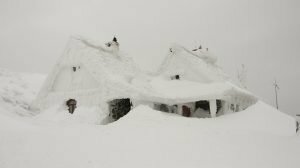 We hope it will be a long time before we get that kind of weather again, but since it will probably be sooner than that, let’s go over some extreme cold safety tips. If you use space heaters, follow all the precautions we’ve talked about before, especially remembering to give a unit a safe clearance space around it, never leave it unattended, and use one certified by Underwriters Laboratories. Since you will be heating more and the indoor air will be drier, there will be a somewhat higher fire risk in your home (especially if you use electric space heaters). To protect against that risk, check your smoke detector batteries. On the same note, have fire extinguishers on hand and visible, and know where they are and how to use them. We underestimate how quickly injury or death from cold can happen. Several of the deaths from the 2019 cold snap were people who were just outside of their homes. By the time you realize you’re in an emergency, you may only have minutes left. Since early detection is crucial, review the signs of hypothermia and frostbite and be sure that the whole household knows them. Clothes keep us warm by providing tiny little air pockets between the skin and the outside air. Wool always has more insulating pockets, making it warmer, and cotton also has the problem that if it gets wet, like from perspiration, the air pockets fill up and no longer insulate. In fact, damp cotton can actually make you colder by wicking heat away from you. Hypothermia can and does happen in above-freezing temperatures. Wear wool, polar fleece, or something like that, and wear multiple loose-fitting layers. And for your hands, remember that mittens are safer than gloves because the fingers being together in one compartment keep each other warm. If you’re shoveling or doing any kind of physical work outside, hydrate well and take frequent warming breaks. And of course, don’t do physical work in the extreme cold unless it’s really necessary. Traveling in another polar vortex like we just had would be dangerous, but if you have to, fill up on gas and have three days of survival supplies in your vehicle. Have your furnace and chimney inspected once a year. A dirty chimney is a serious fire hazard, and if your furnace fails in record low temperatures, it won’t just cost a lot to fix – it might put lives at risk. If you haven’t had your furnace inspected in a while, reach out to your local heating professionals. And while it’s separate from the safety issue running an electrical heater or kerosene burner may also cost more per BTU. Call Twin Air in Manassas at (703) 754-1062 to see if a new, efficient furnace or heat pump system (with affordable financing options) can save you money in the long run.